Unlike their Hymenoptera cousins, the ants, wasps have a slightly less complex biology, at least as it pertains to pest management. 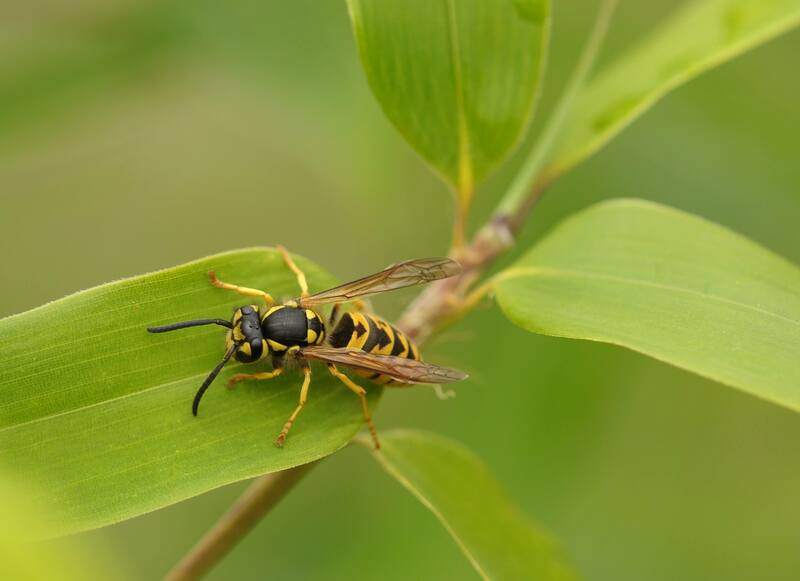 Wasps and hornets make nests almost anywhere. They nest in the ground, under the eaves of houses and commercial buildings, in attics, hot tubs, and vehicles. They often mould their nests around random objects—so watch out, wherever you may be. Wasps and hornets sting people. Some people are incredibly allergic, and allergies can develop over time. These allergies can actually be fatal when someone is stung. It is a potentially dangerous problem to have even a small nest anywhere on the property. People very often attempt to kill a wasp nest themselves, sometimes wearing thicker clothing, or treating it at night, and they very often get stung. Sometimes the problem still needs a professional to eradicate the wasps or hornets 100%. 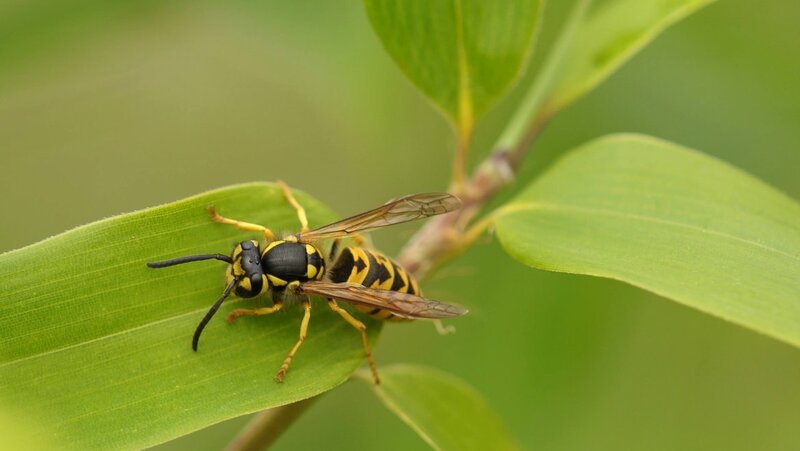 Differences between wasps/hornets and bees are wasps are more slender, lack the orange colour of bees, lack the amount of fuzz of bees, and are much more aggressive. Bees really are not aggressive whatsoever, because they die after one sting. Wasps can sting as much as they want to. Hanging a fake wasp nest will generally deter a queen from establishing a nest nearby, so it is wise and beneficial to hang two or three around your home or business. It may even save a life. If that doesn’t work, or the wasp problem is too big to handle alone, call your local Pest Boss!